The British weather threw everything at us this week with wind, rain, sleet and ice all conspiring to challenge even the hardiest of runners. But SJs proved they were a match for the inclement conditions as big numbers turned up for runs and races. The standard of baking was very high and the initial presentation round was super tight but Holly Dunn’s creation pulled ahead during the second round with combined scores for presentation and taste. Even more PBs at Rushmoor Parkrun. Alistair Mitchell was first member home in his second Parkrun and impressively he was only 3 seconds slower than last week. Mark Pattrick was second SJ over the line for his best at the venue in 20:24 and he was following three seconds later by a flying Fiona Slevin-Brown who recorded a PB of 20:27. This is the fastest time by a female member at Rushmoor ever! Dave Breslin is seeing the speed come back and recorded his best time of 2017 with 21:37. Charlie St Aubyn and Sarah Hyatt made their debut appearances at the venue so scored inevitable Rushmoor PBs in 21:59 and 22:39 respectively. 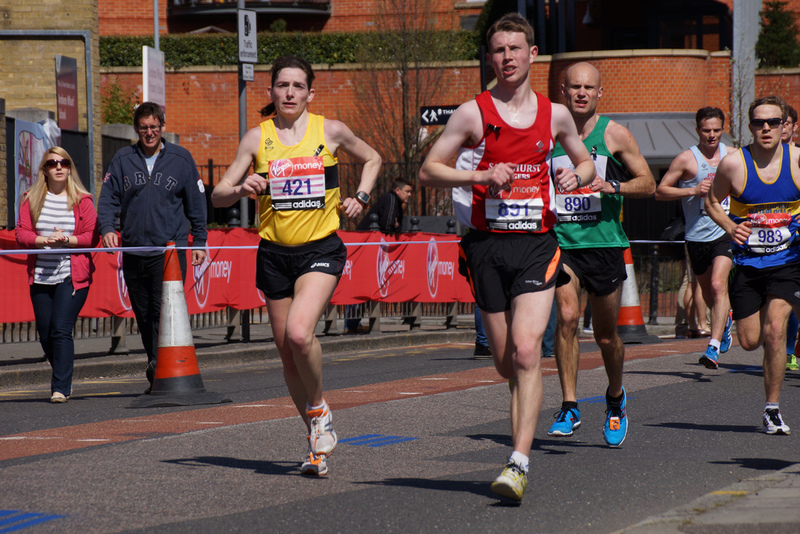 Over at Bracknell Robert Jerrett had a great run finishing 7th overall in 21:31. Caroline Cutliffe recorded her best 2017 time with 30:25 and she was closely followed by another pair of PBs as Jacqueline Hudson and Richard Jackson who finished together in 30:51. Jacq’s was her fastest run at Bracknell and Richard’s was his fastest Parkrun ever! Well done everyone. A few Parkrun Tourists this week and some new and superbly named venues! Lisa Hale warming up at Osterley before tackling a 10k at the same venue later. John Tovell was at home venue Crane Park. Blanche Barnes nailed her best ever time of 28:04 at Reading. George Green visited Woodley for the first time since 2015. Further afield Anne and Simon Whillis made their second appearances at the brilliantly named Rising Sun Parkrun near Newcastle upon Tyne and both improved on their maiden runs. Even further afield we had an impostor posing as Jenny at Warragul Parkrun, East of Melbourne in Australia (or maybe a cloned barcode or simple website error). Great results from the trio of members contesting the Osterley Park Winter 10k. Alurie Dutton finished first in category and Lisa Hale showed her diversity dropping from Ultra to 10k and finished as 7th female. Very wet and cold conditions greeted runners at the 57th Hogs Back Road Race for the 11.7km around the Loseley Estate and over the Hogs Back. More excellent performances including a 2nd place in category for Lisa Hale. Monday: Patrick will be leading the usual Monday night chatfest leaving Sandhurst Sports Centre at 7:30pm and covering approx. 6 miles. This is one of the most sociable runs of the week and a great opportunity to catch up with friends or discuss the preceding weekend. Also, just one week until the annual Christmas Lights run which will be on Monday 18th December. Thursday: This week the threshold/improvers run will be on the the Ellis Road route. Meet at Sandhurst Sports Centre at 7:30pm and don’t forget lights and high vis clothing. The run is a great way to improve fitness by running as a group at a slightly harder intensity. There is a shorter route available and a sweeper so nobody gets left behind.